I have had a chance to watch several of the hearings of the Homestead Tax Credit Commission which is considering a recommendation as to the possible (almost certain) elimination of the local homestead tax credit by the Marion County/Indianapolis government. Here are some observations. First, an explanation of the homestead tax credit is in order. Actually there are three separate homesteads tax credit/exemptions on residential property. The most familiar is the state homestead tax deduction which equals up to 25% (17% state and 8% county) of your gross tax according to current Indiana Code (IC 6-1.1-20.9), depending upon your taxing district. Then you have the local option income homestead tax credit. A county cannot change that. What is on the table for possible elimination is the COIT property tax credit. COIT stands for county option income tax. 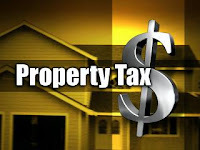 That COIT tax credit refers to a portion of the COIT used to reduce homeowners' property taxes. Only a few counties have the COIT tax credit. What happens is that approximately $12.5 million in county option income tax in Marion County, is used each year to reduce property taxes for those who have homesteads.. The money, even though originating as local income tax, gets distributed as if it were property tax. Mayor Greg Ballard and some of those on the council, particularly Republicans, support the elimination of the COIT tax credit. This means the local COIT won't be used to reduce property tax bills. In other words, many residents will see an increase in their property taxes if the COIT homestead credit is eliminated. Instead of the $12.5 million of the COIT being used to reduce property taxes,, the COIT money would be distributed under the COIT allocation for local government. That skews the winners and losers in the fierce battle among local governments for taxpayer dollars. The chief winner if the COIT homestead credit is eliminated would be the City of Indianapolis, which would gain more than $8 million of the $12.5 million in COIT funding. The losers would be schools and libraries which are funded chiefly by property taxes. Another loser is Marion County homeowners. Those people who are not at the 1% cap will see a rise in their property tax bill, not a huge rise, but an increase nonetheless. Politically, Ballard and the Republicans seem to believe they can sell the public that the credit should be eliminated because it is "antiquated". But by any measure though, the proposal is an increase in the property tax, the most unpopular tax there is. Mayor Peterson lost his re-election bid in 2007 in no small part to increasing property taxes, for which he really only had a minor role. In this case though the Ballard administration would be 100% responsible for pushing through the Council a property tax increase. The Republicans best bet is that Democrats on the Commission and the Council will agree to go along with the property tax increase and share the blame with Republicans for doing so. It wouldn't be a smart thing for Democrats to do, but my guess is they will do it. This would be the party indistinct, continued politics of "wrong direction." I thought that the problems with credits such as house or student ones should have been solved by the government. Instead of the good and wise decision they made even worse. Also I have heard about some donations in this area, so the student can live more independent. However I guess the only way for them now is to take cash in advance just to pay for commodities. In such way they can not occur in the dark list of the banks.